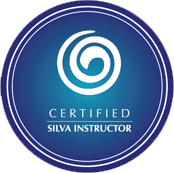 Auckland The Silva Life System is the basic foundation course. The techniques will unleash the infinite power of your mind as you embark on this journey of self-discovery . Acquiring the ability to function consciously at the Alpha level will enhance and strengthen your ability to relax at will. Focus, concentration, creativity and the zest to live a happy productive life will be the results of this amazing process. Auckland The techniques in this training will spark your natural intuitive abilities and further develop them to trigger your inner wisdom to gain accurate guidance and inspiration. Intuition is a natural ability everyone is born with, yet remains dormant for most people. The Silva specialized trainingwill activate your Intuition to guide you to finding your unique life purpose.